GWR to bring 19 tri-mode Class 769 4-car trains to Reading-Oxford and Reading-Gatwick services from next spring. Will run on AC and DC electrification and diesel. Will initially support introduction of refurbed trains to Heathrow Express. ‘Reading to Oxford’ presumably means the peak Reading-Oxford services that are Turbo operated as well as possibly some of the Oxford to Didcot shuttles? 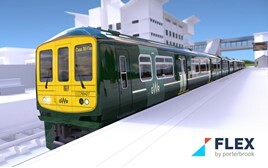 Nineteen tri-mode Class 769 Flex units will enter traffic with Great Western Railway from Spring 2019. They will be able to operate using third-rail, overhead wires or diesel engines, and will be used initially to support GWR’s introduction of refurbished Class 387/1s on Heathrow Express. They will feature free WiFi and power at every seat. The trains will be fitted with air-cooling, extra luggage space and new seat covers. GWR said in a statement: “Initially, the fleet will support the introduction of refreshed trains on Heathrow Express services, but will be predominantly be used on routes between Reading and Gatwick, and Reading and Oxford, where the train’s tri-mode can be used to its fullest. 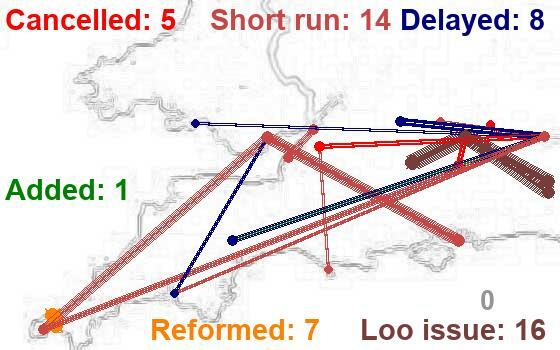 However, the tri-mode nature of the train will give GWR maximum flexibility to use them in other areas of the network should they be required. 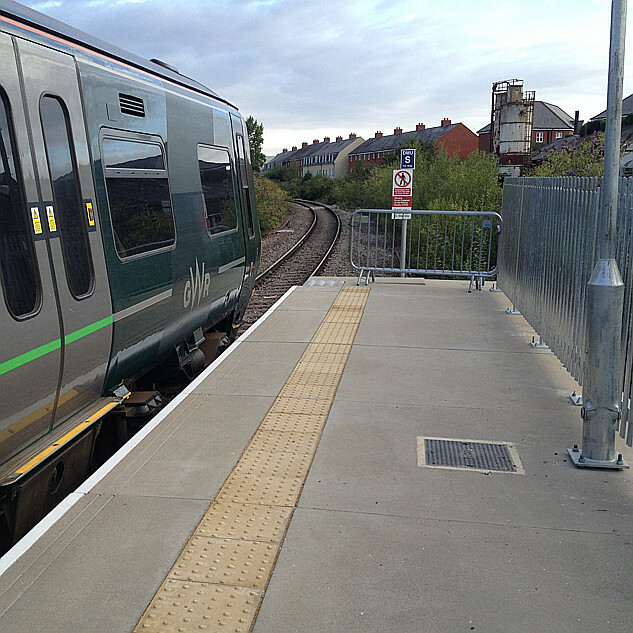 The four-car trains will be converted from redundant Class 319 electric multiple units. This releases a similar number of Class 165/’166’ Turbos for use in the Bristol area. The FULL story will appear in RAIL 852, published on May 9, and available digitally from May 5 on Android/iPad. To read about the initial Flex concept, read RAIL 818, available digitally. It is, obviously, good news to get more capacity. Just the extra strain on crew training, and the reliability and power of the units themselves that cast a bit of a shadow in my opinion. I suppose I should be grateful about the increase in capacity, but I can't help feeling we are being sold a pup. These trains are untested, will require more training, will be slower than 387 and probably 165, are 30 years old (older than 165/166) and have no air conditioning. If they at so good why are they being removed from their current services. Wouldn't it be simpler to complete the electrification to Oxford and use the 319 ( no need to undertake the hybrid conversion) on the short service to Heathrow. Of course we all know with the current Secretary of State that he will do anything to get a private company to spend money (ie the leasing company) rather than spend public money ( ie Network Rail). I think The Dept for Transport, or whatever it's called these days, will do just about anything to defer or bin the idea of electrifying to Oxford. And this is a good example of that..
As EMU's the 319's were 100mph units, weren't they? So, yes a bit slower than a 387, but a bit quicker than a Turbo, although true to say we don't know what their speed will be under diesel power? Kind of irrelevant on the North Downs anyway, as I don't think there is any linespeed above 70? 100mph yes, but very slow accelerating compared with modern electric units (though probably slightly better than a Turbo). Maximum speed on diesel is expected to be in the 90+mph area I believe, but how long it takes to get to that value remains to be seen - along with how it'll cope with accelerating on the gradients of the North Downs. Top speed under diesel - two conflicting views - 80mph and 86mph . Bear in mind that the more important question may be how quickly the trains get up to a decent speed rather than the top speed that ca be reached. The 769 in electric are surely going to be much slower to accelerate than a 319 as they will weigh much more. They will have the weight of the diesel engines and all the ancillaries (exhausts, radiators,etc), fuel, air cooling equipment, wifi equipment, etc. Weight impacts on acceleration and not top speed (it just takes much longer to get there). Also these trains are already 30 years how long do they expect them to last? Won't they become the oldest trains on the network soon (except for Isle of Wight and class 150)? Does anyone know what the rationale was for removing them from their current duties? Was it just age and lack of modern facilities such as air-con? Class 700 replaced the 319s. The 319s don't support ATO which is needed for high density operations in the Thameslink core and there weren't enough sets to cover all of the new Thameslink routes so it made sense to get rid of them and have a single standard fleet. It'll be a real blast from the past for me as I remember the 319s being introduced into service as the first non-slam door stock on the Brighton Main Line. They were a real step up from the VEPs and CIGs. I also remember the 165/6 introduction which was another leap from the Class 101 DMUs. However, the 319s were never as nice internally as the 165/6 IMHO, primarily due to the wider loading gauge on the 165/6 which provided a roomer interior. If this story is true, it does beg the question why 800s are going to be used on the Bedwyn services, when one of these sets could easily run to Newbury/Reading. Indeed, and one wonders whether a 4-coach 769 would fit in the Bedwyn turnback without need to extend it (which as far as I know work has yet to start on)? Also (while I'm at it! ), will a 4-coach 769 fit at some of the smaller stations on the North Downs? Although I share the reservations of how well these might be able to work in practice until demonstrated, I do at least commend the action of getting more stock to help patch over some of the holes at least in the short (and sadly probably the medium) term left by the Electrification debacle. My only fear there is that there aren't really enough. A 4 car 319 is roughly 80 metres long. A 3 car 165 is 66m long and a 4 car 387 is roughly 81 metres. I don't think the 319s ever had SDO fitted as they were typically run in 4 and 8 car sets and stopped at stations that could take 8 cars.